After supporting the #SaveTheCrew movement in its earliest days as Columbus City Council President, I realized I was in a unique position to do so much more when I became the City Attorney in January 2018. And we picked up the fight right away in the City Attorney’s Office. At the first senior staff meeting I convened, I was briefed on the potential litigation we were contemplating under the Ohio Revised Code 9.67 (the “Modell Law”). I tasked members of my staff to immediately start researching and working on a litigation strategy. The long and short of it at the time was that this law had been on the books for decades but never tested. No case law existed and there was no blueprint on how best to ensure success. This was going to take hard work and creative legal thinking if we were going to have an impact on the future of the Crew in Columbus. But maybe, just maybe if we did our part we could give local investors an opportunity to come forward and purchase the club. Around the time we were preparing to file the complaint to kickoff the litigation, my office was approached by Bricker & Eckler with an offer to provide additional legal resources to our efforts. For a number of reasons it was a perfect fit. Our teams working together helped develop and implement a legal strategy we thought would give us the best chance of success. We came up with a plan that initially had two primary goals. First, we wanted to shift the paradigm of the case. We had a good idea of what the opposition wanted to happen and we thought it would be to our advantage if we could shake that up. We were going to fight this case on our terms. Second, we wanted to guarantee that the City and local investors were truly given their six month notice and opportunity to purchase the team. That is what the Modell Law provided for and I was going to make sure we got it. Out of this grew the idea for our initial motion to toll that we filed to “pause” that six month period. Tolling created uncertainty for MLS and Precourt. Tolling ensured compliance with ORC 9.67. And tolling (hopefully) provided time for local investors. After winning the motion to toll, we knew the next big hurdle was going to be surviving the motion to dismiss. The City, Bricker, and the State team put in countless hours preparing our response to their motion and for oral argument before the judge. Ultimately, I believe our initial litigation strategy helped put us in a better position to win on the motion to dismiss. I won’t bore you with the legal minutiae, but MLS was likely forced to move more quickly and make weaker arguments then maybe they would have liked because winning the motion to dismiss was going to be the only way out of the lawsuit in a timely manner. I think everyone on our side did a phenomenal job in court and it was great seeing so many of you there in support. And shortly before the culmination of this story we were rewarded with another massive legal victory when Judge Brown denied the motion to dismiss. Where once no case law or blueprint existed, the City, in conjunction with Bricker and the State, laid down the first roots. I can’t stress this enough, but we never thought we were going to lose. Maybe we didn’t always know if we were going to win, but never once did we feel like we were on the brink of defeat. I think a lot of that came from all the positive energy that the #SaveTheCrew movement gave to myself and my staff. Thank you for all your support during the case. I’ve said this before, but I sincerely mean it: only in Columbus can a community rally to prevent a professional sports franchise from leaving town. Your voices matter. Please make your voice heard again and add your name to support our office in the work we did to #SaveTheCrew, as well as the other good work we do together to make Columbus the great city it is. My team and I can’t wait to see you in the stands this season supporting our hometown Crew! Thanks Mr. Klein for all your hard work in helping to save the Crew! I got nothing but love for ya. 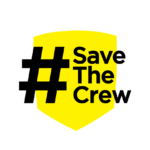 Thanks for all of the work that you and your team(City, State, Bricker & Eckler) put into the legal side of Save The Crew ! The threat of how the lawsuit could develop further, and the delay it caused, surely turned the situation around and provided the opportunity for the Haslem/Edwards team to put together an offer that MLS could not refuse.